This article is about the concept. For the journal, see Philosophy of Science (journal). Distinguishing between science and non-science is referred to as the demarcation problem. For example, should psychoanalysis be considered science? How about so-called creation science, the inflationary multiverse hypothesis, or macroeconomics? Karl Popper called this the central question in the philosophy of science. However, no unified account of the problem has won acceptance among philosophers, and some regard the problem as unsolvable or uninteresting. Martin Gardner has argued for the use of a Potter Stewart standard ("I know it when I see it") for recognizing pseudoscience. An area of study or speculation that masquerades as science in an attempt to claim a legitimacy that it would not otherwise be able to achieve is referred to as pseudoscience, fringe science, or junk science. Physicist Richard Feynman coined the term "cargo cult science" for cases in which researchers believe they are doing science because their activities have the outward appearance of it but actually lack the "kind of utter honesty" that allows their results to be rigorously evaluated. A closely related question is what counts as a good scientific explanation. In addition to providing predictions about future events, society often takes scientific theories to provide explanations for events that occur regularly or have already occurred. Philosophers have investigated the criteria by which a scientific theory can be said to have successfully explained a phenomenon, as well as what it means to say a scientific theory has explanatory power. One early and influential theory of scientific explanation is the deductive-nomological model. It says that a successful scientific explanation must deduce the occurrence of the phenomena in question from a scientific law. This view has been subjected to substantial criticism, resulting in several widely acknowledged counterexamples to the theory. It is especially challenging to characterize what is meant by an explanation when the thing to be explained cannot be deduced from any law because it is a matter of chance, or otherwise cannot be perfectly predicted from what is known. Wesley Salmon developed a model in which a good scientific explanation must be statistically relevant to the outcome to be explained. Others have argued that the key to a good explanation is unifying disparate phenomena or providing a causal mechanism. The expectations chickens might form about farmer behavior illustrate the "problem of induction." Although it is often taken for granted, it is not at all clear how one can infer the validity of a general statement from a number of specific instances or infer the truth of a theory from a series of successful tests. 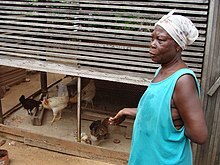 For example, a chicken observes that each morning the farmer comes and gives it food, for hundreds of days in a row. The chicken may therefore use inductive reasoning to infer that the farmer will bring food every morning. However, one morning, the farmer comes and kills the chicken. How is scientific reasoning more trustworthy than the chicken's reasoning? One approach is to acknowledge that induction cannot achieve certainty, but observing more instances of a general statement can at least make the general statement more probable. So the chicken would be right to conclude from all those mornings that it is likely the farmer will come with food again the next morning, even if it cannot be certain. However, there remain difficult questions about the process of interpreting any given evidence into a probability that the general statement is true. One way out of these particular difficulties is to declare that all beliefs about scientific theories are subjective, or personal, and correct reasoning is merely about how evidence should change one's subjective beliefs over time. Some argue that what scientists do is not inductive reasoning at all but rather abductive reasoning, or inference to the best explanation. In this account, science is not about generalizing specific instances but rather about hypothesizing explanations for what is observed. As discussed in the previous section, it is not always clear what is meant by the "best explanation." Ockham's razor, which counsels choosing the simplest available explanation, thus plays an important role in some versions of this approach. To return to the example of the chicken, would it be simpler to suppose that the farmer cares about it and will continue taking care of it indefinitely or that the farmer is fattening it up for slaughter? Philosophers have tried to make this heuristic principle more precise in terms of theoretical parsimony or other measures. Yet, although various measures of simplicity have been brought forward as potential candidates, it is generally accepted that there is no such thing as a theory-independent measure of simplicity. In other words, there appear to be as many different measures of simplicity as there are theories themselves, and the task of choosing between measures of simplicity appears to be every bit as problematic as the job of choosing between theories. Nicholas Maxwell has argued for some decades that unity rather than simplicity is the key non-empirical factor in influencing choice of theory in science, persistent preference for unified theories in effect committing science to the acceptance of a metaphysical thesis concerning unity in nature. In order to improve this problematic thesis, it needs to be represented in the form of a hierarchy of theses, each thesis becoming more insubstantial as one goes up the hierarchy. When making observations, scientists look through telescopes, study images on electronic screens, record meter readings, and so on. Generally, on a basic level, they can agree on what they see, e.g., the thermometer shows 37.9 degrees C. But, if these scientists have different ideas about the theories that have been developed to explain these basic observations, they may disagree about what they are observing. 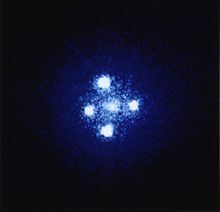 For example, before Albert Einstein's general theory of relativity, observers would have likely interpreted an image of the Einstein cross as five different objects in space. In light of that theory, however, astronomers will tell you that there are actually only two objects, one in the center and four different images of a second object around the sides. Alternatively, if other scientists suspect that something is wrong with the telescope and only one object is actually being observed, they are operating under yet another theory. Observations that cannot be separated from theoretical interpretation are said to be theory-laden. All observation involves both perception and cognition. That is, one does not make an observation passively, but rather is actively engaged in distinguishing the phenomenon being observed from surrounding sensory data. Therefore, observations are affected by one's underlying understanding of the way in which the world functions, and that understanding may influence what is perceived, noticed, or deemed worthy of consideration. In this sense, it can be argued that all observation is theory-laden. Should science aim to determine ultimate truth, or are there questions that science cannot answer? Scientific realists claim that science aims at truth and that one ought to regard scientific theories as true, approximately true, or likely true. Conversely, scientific anti-realists argue that science does not aim (or at least does not succeed) at truth, especially truth about unobservables like electrons or other universes. Instrumentalists argue that scientific theories should only be evaluated on whether they are useful. In their view, whether theories are true or not is beside the point, because the purpose of science is to make predictions and enable effective technology. Realists often point to the success of recent scientific theories as evidence for the truth (or near truth) of current theories. Antirealists point to either the many false theories in the history of science, epistemic morals, the success of false modeling assumptions, or widely termed postmodern criticisms of objectivity as evidence against scientific realism. Antirealists attempt to explain the success of scientific theories without reference to truth. Some antirealists claim that scientific theories aim at being accurate only about observable objects and argue that their success is primarily judged by that criterion. Values intersect with science in different ways. There are epistemic values that mainly guide the scientific research. The scientific enterprise is embedded in particular culture and values through individual practitioners. Values emerge from science, both as product and process and can be distributed among several cultures in the society. If it is unclear what counts as science, how the process of confirming theories works, and what the purpose of science is, there is considerable scope for values and other social influences to shape science. Indeed, values can play a role ranging from determining which research gets funded to influencing which theories achieve scientific consensus. For example, in the 19th century, cultural values held by scientists about race shaped research on evolution, and values concerning social class influenced debates on phrenology (considered scientific at the time). Feminist philosophers of science, sociologists of science, and others explore how social values affect science. The origins of philosophy of science trace back to Plato and Aristotle who distinguished the forms of approximate and exact reasoning, set out the threefold scheme of abductive, deductive, and inductive inference, and also analyzed reasoning by analogy. 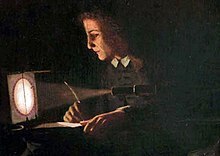 The eleventh century Arab polymath Ibn al-Haytham (known in Latin as Alhazen) conducted his research in optics by way of controlled experimental testing and applied geometry, especially in his investigations into the images resulting from the reflection and refraction of light. Roger Bacon (1214–1294), an English thinker and experimenter heavily influenced by al-Haytham, is recognized by many to be the father of modern scientific method. His view that mathematics was essential to a correct understanding of natural philosophy was considered to be 400 years ahead of its time. 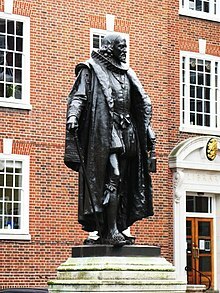 Francis Bacon (no direct relation to Roger, who lived 300 years earlier) was a seminal figure in philosophy of science at the time of the Scientific Revolution. In his work Novum Organum (1620)—an allusion to Aristotle's Organon—Bacon outlined a new system of logic to improve upon the old philosophical process of syllogism. Bacon's method relied on experimental histories to eliminate alternative theories. In 1637, René Descartes established a new framework for grounding scientific knowledge in his treatise, Discourse on Method, advocating the central role of reason as opposed to sensory experience. By contrast, in 1713, the 2nd edition of Isaac Newton's Philosophiae Naturalis Principia Mathematica argued that "... hypotheses ... have no place in experimental philosophy. In this philosophy[,] propositions are deduced from the phenomena and rendered general by induction. " This passage influenced a "later generation of philosophically-inclined readers to pronounce a ban on causal hypotheses in natural philosophy." In particular, later in the 18th century, David Hume would famously articulate skepticism about the ability of science to determine causality and gave a definitive formulation of the problem of induction. The 19th century writings of John Stuart Mill are also considered important in the formation of current conceptions of the scientific method, as well as anticipating later accounts of scientific explanation. Instrumentalism became popular among physicists around the turn of the 20th century, after which logical positivism defined the field for several decades. Logical positivism accepts only testable statements as meaningful, rejects metaphysical interpretations, and embraces verificationism (a set of theories of knowledge that combines logicism, empiricism, and linguistics to ground philosophy on a basis consistent with examples from the empirical sciences). Seeking to overhaul all of philosophy and convert it to a new scientific philosophy, the Berlin Circle and the Vienna Circle propounded logical positivism in the late 1920s. Interpreting Ludwig Wittgenstein's early philosophy of language, logical positivists identified a verifiability principle or criterion of cognitive meaningfulness. From Bertrand Russell's logicism they sought reduction of mathematics to logic. They also embraced Russell's logical atomism, Ernst Mach's phenomenalism—whereby the mind knows only actual or potential sensory experience, which is the content of all sciences, whether physics or psychology—and Percy Bridgman's operationalism. Thereby, only the verifiable was scientific and cognitively meaningful, whereas the unverifiable was unscientific, cognitively meaningless "pseudostatements"—metaphysical, emotive, or such—not worthy of further review by philosophers, who were newly tasked to organize knowledge rather than develop new knowledge. Logical positivism is commonly portrayed as taking the extreme position that scientific language should never refer to anything unobservable—even the seemingly core notions of causality, mechanism, and principles—but that is an exaggeration. Talk of such unobservables could be allowed as metaphorical—direct observations viewed in the abstract—or at worst metaphysical or emotional. Theoretical laws would be reduced to empirical laws, while theoretical terms would garner meaning from observational terms via correspondence rules. Mathematics in physics would reduce to symbolic logic via logicism, while rational reconstruction would convert ordinary language into standardized equivalents, all networked and united by a logical syntax. A scientific theory would be stated with its method of verification, whereby a logical calculus or empirical operation could verify its falsity or truth. In the late 1930s, logical positivists fled Germany and Austria for Britain and America. By then, many had replaced Mach's phenomenalism with Otto Neurath's physicalism, and Rudolf Carnap had sought to replace verification with simply confirmation. With World War II's close in 1945, logical positivism became milder, logical empiricism, led largely by Carl Hempel, in America, who expounded the covering law model of scientific explanation as a way of identifying the logical form of explanations without any reference to the suspect notion of "causation". The logical positivist movement became a major underpinning of analytic philosophy, and dominated Anglosphere philosophy, including philosophy of science, while influencing sciences, into the 1960s. Yet the movement failed to resolve its central problems, and its doctrines were increasingly assaulted. 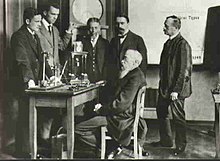 Nevertheless, it brought about the establishment of philosophy of science as a distinct subdiscipline of philosophy, with Carl Hempel playing a key role. For Kuhn, the addition of epicycles in Ptolemaic astronomy was "normal science" within a paradigm, whereas the Copernican revolution was a paradigm shift. In the 1962 book The Structure of Scientific Revolutions, Thomas Kuhn argued that the process of observation and evaluation takes place within a paradigm, a logically consistent "portrait" of the world that is consistent with observations made from its framing. A paradigm also encompasses the set of questions and practices that define a scientific discipline. He characterized normal science as the process of observation and "puzzle solving" which takes place within a paradigm, whereas revolutionary science occurs when one paradigm overtakes another in a paradigm shift. Kuhn denied that it is ever possible to isolate the hypothesis being tested from the influence of the theory in which the observations are grounded, and he argued that it is not possible to evaluate competing paradigms independently. More than one logically consistent construct can paint a usable likeness of the world, but there is no common ground from which to pit two against each other, theory against theory. Each paradigm has its own distinct questions, aims, and interpretations. Neither provides a standard by which the other can be judged, so there is no clear way to measure scientific progress across paradigms. For Kuhn, the choice of paradigm was sustained by rational processes, but not ultimately determined by them. The choice between paradigms involves setting two or more "portraits" against the world and deciding which likeness is most promising. For Kuhn, acceptance or rejection of a paradigm is a social process as much as a logical process. Kuhn's position, however, is not one of relativism. According to Kuhn, a paradigm shift occurs when a significant number of observational anomalies arise in the old paradigm and a new paradigm makes sense of them. That is, the choice of a new paradigm is based on observations, even though those observations are made against the background of the old paradigm. All scientific study inescapably builds on at least some essential assumptions that are untested by scientific processes. Kuhn concurs that all science is based on an approved agenda of unprovable assumptions about the character of the universe, rather than merely on empirical facts. These assumptions—a paradigm—comprise a collection of beliefs, values and techniques that are held by a given scientific community, which legitimize their systems and set the limitations to their investigation. For naturalists, nature is the only reality, the only paradigm. There is no such thing as 'supernatural'. The scientific method is to be used to investigate all reality. Naturalism is the implicit philosophy of working scientists. The following basic assumptions are needed to justify the scientific method. that there is an objective reality shared by all rational observers. "The basis for rationality is acceptance of an external objective reality." "Objective reality is clearly an essential thing if we are to develop a meaningful perspective of the world. Nevertheless its very existence is assumed." "Our belief that objective reality exist is an assumption that it arises from a real world outside of ourselves. As infants we made this assumption unconsciously. People are happy to make this assumption that adds meaning to our sensations and feelings, than live with solipsism." Without this assumption, there would be only the thoughts and images in our own mind (which would be the only existing mind) and there would be no need of science, or anything else." In contrast to the view that science rests on foundational assumptions, coherentism asserts that statements are justified by being a part of a coherent system. Or, rather, individual statements cannot be validated on their own: only coherent systems can be justified. A prediction of a transit of Venus is justified by its being coherent with broader beliefs about celestial mechanics and earlier observations. As explained above, observation is a cognitive act. That is, it relies on a pre-existing understanding, a systematic set of beliefs. An observation of a transit of Venus requires a huge range of auxiliary beliefs, such as those that describe the optics of telescopes, the mechanics of the telescope mount, and an understanding of celestial mechanics. If the prediction fails and a transit is not observed, that is likely to occasion an adjustment in the system, a change in some auxiliary assumption, rather than a rejection of the theoretical system. In fact, according to the Duhem–Quine thesis, after Pierre Duhem and W.V. Quine, it is impossible to test a theory in isolation. One must always add auxiliary hypotheses in order to make testable predictions. For example, to test Newton's Law of Gravitation in the solar system, one needs information about the masses and positions of the Sun and all the planets. Famously, the failure to predict the orbit of Uranus in the 19th century led not to the rejection of Newton's Law but rather to the rejection of the hypothesis that the solar system comprises only seven planets. The investigations that followed led to the discovery of an eighth planet, Neptune. If a test fails, something is wrong. But there is a problem in figuring out what that something is: a missing planet, badly calibrated test equipment, an unsuspected curvature of space, or something else. One consequence of the Duhem–Quine thesis is that one can make any theory compatible with any empirical observation by the addition of a sufficient number of suitable ad hoc hypotheses. Karl Popper accepted this thesis, leading him to reject naïve falsification. Instead, he favored a "survival of the fittest" view in which the most falsifiable scientific theories are to be preferred. 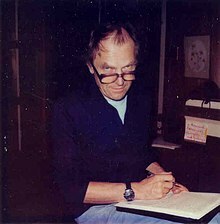 Paul Feyerabend (1924–1994) argued that no description of scientific method could possibly be broad enough to include all the approaches and methods used by scientists, and that there are no useful and exception-free methodological rules governing the progress of science. He argued that "the only principle that does not inhibit progress is: anything goes". Feyerabend said that science started as a liberating movement, but that over time it had become increasingly dogmatic and rigid and had some oppressive features, and thus had become increasingly an ideology. Because of this, he said it was impossible to come up with an unambiguous way to distinguish science from religion, magic, or mythology. He saw the exclusive dominance of science as a means of directing society as authoritarian and ungrounded. Promulgation of this epistemological anarchism earned Feyerabend the title of "the worst enemy of science" from his detractors. According to Kuhn, science is an inherently communal activity which can only be done as part of a community. For him, the fundamental difference between science and other disciplines is the way in which the communities function. Others, especially Feyerabend and some post-modernist thinkers, have argued that there is insufficient difference between social practices in science and other disciplines to maintain this distinction. For them, social factors play an important and direct role in scientific method, but they do not serve to differentiate science from other disciplines. On this account, science is socially constructed, though this does not necessarily imply the more radical notion that reality itself is a social construct. Physical objects are conceptually imported into the situation as convenient intermediaries not by definition in terms of experience, but simply as irreducible posits comparable, epistemologically, to the gods of Homer ... For my part I do, qua lay physicist, believe in physical objects and not in Homer's gods; and I consider it a scientific error to believe otherwise. But in point of epistemological footing, the physical objects and the gods differ only in degree and not in kind. Both sorts of entities enter our conceptions only as cultural posits. The public backlash of scientists against such views, particularly in the 1990s, became known as the science wars. A major development in recent decades has been the study of the formation, structure, and evolution of scientific communities by sociologists and anthropologists – including David Bloor, Harry Collins, Bruno Latour, and Anselm Strauss. Concepts and methods (such as rational choice, social choice or game theory) from economics have also been applied[by whom?] for understanding the efficiency of scientific communities in the production of knowledge. This interdisciplinary field has come to be known as science and technology studies. Here the approach to the philosophy of science is to study how scientific communities actually operate. Philosophers in the continental philosophical tradition are not traditionally categorized[by whom?] as philosophers of science. However, they have much to say about science, some of which has anticipated themes in the analytical tradition. For example, Friedrich Nietzsche advanced the thesis in his The Genealogy of Morals (1887) that the motive for the search for truth in sciences is a kind of ascetic ideal. In general, continental philosophy views science from a world-historical perspective. Georg Wilhelm Friedrich Hegel (1770-1831) became one of the first philosophers to support this view. Philosophers such as Pierre Duhem (1861-1916) and Gaston Bachelard (1884-1962) also wrote their works with this world-historical approach to science, predating Kuhn' 1962 work by a generation or more. All of these approaches involve a historical and sociological turn to science, with a priority on lived experience (a kind of Husserlian "life-world"), rather than a progress-based or anti-historical approach as emphasised in the analytic tradition. One can trace this continental strand of thought through the phenomenology of Edmund Husserl (1859-1938), the late works of Merleau-Ponty (Nature: Course Notes from the Collège de France, 1956–1960), and the hermeneutics of Martin Heidegger (1889-1976). The largest effect on the continental tradition with respect to science came from Martin Heidegger's critique of the theoretical attitude in general, which of course includes the scientific attitude. For this reason, the continental tradition has remained much more skeptical of the importance of science in human life and in philosophical inquiry. Nonetheless, there have been a number of important works: especially those of a Kuhnian precursor, Alexandre Koyré (1892-1964). Another important development was that of Michel Foucault's analysis of historical and scientific thought in The Order of Things (1966) and his study of power and corruption within the "science" of madness. Post-Heideggerian authors contributing to continental philosophy of science in the second half of the 20th century include Jürgen Habermas (e.g., Truth and Justification, 1998), Carl Friedrich von Weizsäcker (The Unity of Nature, 1980; German: Die Einheit der Natur (1971)), and Wolfgang Stegmüller (Probleme und Resultate der Wissenschafttheorie und Analytischen Philosophie, 1973–1986). Analysis is the activity of breaking an observation or theory down into simpler concepts in order to understand it. Reductionism can refer to one of several philosophical positions related to this approach. One type of reductionism is the belief that all fields of study are ultimately amenable to scientific explanation. Perhaps a historical event might be explained in sociological and psychological terms, which in turn might be described in terms of human physiology, which in turn might be described in terms of chemistry and physics. Daniel Dennett distinguishes legitimate reductionism from what he calls greedy reductionism, which denies real complexities and leaps too quickly to sweeping generalizations. A broad issue affecting the neutrality of science concerns the areas which science chooses to explore, that is, what part of the world and man is studied by science. Philip Kitcher in his "Science, Truth, and Democracy" argues that scientific studies that attempt to show one segment of the population as being less intelligent, successful or emotionally backward compared to others have a political feedback effect which further excludes such groups from access to science. Thus such studies undermine the broad consensus required for good science by excluding certain people, and so proving themselves in the end to be unscientific. In addition to addressing the general questions regarding science and induction, many philosophers of science are occupied by investigating foundational problems in particular sciences. They also examine the implications of particular sciences for broader philosophical questions. The late 20th and early 21st century has seen a rise in the number of practitioners of philosophy of a particular science. The problem of induction discussed above is seen in another form in debates over the foundations of statistics. The standard approach to statistical hypothesis testing avoids claims about whether evidence supports a hypothesis or makes it more probable. Instead, the typical test yields a p-value, which is the probability of the evidence being such as it is, under the assumption that the hypothesis being tested is true. If the p-value is too low, the hypothesis is rejected, in a way analogous to falsification. In contrast, Bayesian inference seeks to assign probabilities to hypotheses. Related topics in philosophy of statistics include probability interpretations, overfitting, and the difference between correlation and causation. Philosophy of mathematics is concerned with the philosophical foundations and implications of mathematics. The central questions are whether numbers, triangles, and other mathematical entities exist independently of the human mind and what is the nature of mathematical propositions. Is asking whether "1+1=2" is true fundamentally different from asking whether a ball is red? Was calculus invented or discovered? A related question is whether learning mathematics requires experience or reason alone. What does it mean to prove a mathematical theorem and how does one know whether a mathematical proof is correct? Philosophers of mathematics also aim to clarify the relationships between mathematics and logic, human capabilities such as intuition, and the material universe. How does the quantum description of reality, which includes elements such as the "superposition of states" and "wavefunction collapse", give rise to the reality we perceive? Philosophy of physics is the study of the fundamental, philosophical questions underlying modern physics, the study of matter and energy and how they interact. The main questions concern the nature of space and time, atoms and atomism. Also included are the predictions of cosmology, the interpretation of quantum mechanics, the foundations of statistical mechanics, causality, determinism, and the nature of physical laws. Classically, several of these questions were studied as part of metaphysics (for example, those about causality, determinism, and space and time). Philosophy of chemistry is the philosophical study of the methodology and content of the science of chemistry. It is explored by philosophers, chemists, and philosopher-chemist teams. It includes research on general philosophy of science issues as applied to chemistry. For example, can all chemical phenomena be explained by quantum mechanics or is it not possible to reduce chemistry to physics? For another example, chemists have discussed the philosophy of how theories are confirmed in the context of confirming reaction mechanisms. Determining reaction mechanisms is difficult because they cannot be observed directly. Chemists can use a number of indirect measures as evidence to rule out certain mechanisms, but they are often unsure if the remaining mechanism is correct because there are many other possible mechanisms that they have not tested or even thought of. Philosophers have also sought to clarify the meaning of chemical concepts which do not refer to specific physical entities, such as chemical bonds. The philosophy of Earth science is concerned with how humans obtain and verify knowledge of the workings of the Earth system, including the atmosphere, hydrosphere, and geosphere (solid earth). Earth scientists’ ways of knowing and habits of mind share important commonalities with other sciences but also have distinctive attributes that emerge from the complex, heterogeneous, unique, long-lived, and non-manipulatable nature of the Earth system. 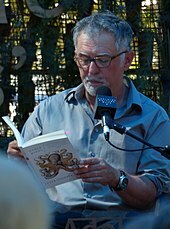 Peter Godfrey-Smith was awarded the Lakatos Award for his 2009 book Darwinian Populations and Natural Selection, which discusses the philosophical foundations of the theory of evolution. Philosophy of biology deals with epistemological, metaphysical, and ethical issues in the biological and biomedical sciences. Although philosophers of science and philosophers generally have long been interested in biology (e.g., Aristotle, Descartes, Leibniz and even Kant), philosophy of biology only emerged as an independent field of philosophy in the 1960s and 1970s. Philosophers of science began to pay increasing attention to developments in biology, from the rise of the modern synthesis in the 1930s and 1940s to the discovery of the structure of deoxyribonucleic acid (DNA) in 1953 to more recent advances in genetic engineering. Other key ideas such as the reduction of all life processes to biochemical reactions as well as the incorporation of psychology into a broader neuroscience are also addressed. Research in current philosophy of biology includes investigation of the foundations of evolutionary theory (such as Peter Godfrey-Smith's work), and the role of viruses as persistent symbionts in host genomes. As a consequence the evolution of genetic content order is seen as the result of competent genome editors in contrast to former narratives in which error replication events (mutations) dominated. A fragment of the Hippocratic Oath from the third century. Beyond medical ethics and bioethics, the philosophy of medicine is a branch of philosophy that includes the epistemology and ontology/metaphysics of medicine. Within the epistemology of medicine, evidence-based medicine (EBM) (or evidence-based practice (EBP)) has attracted attention, most notably the roles of randomisation, blinding and placebo controls. Related to these areas of investigation, ontologies of specific interest to the philosophy of medicine include Cartesian dualism, the monogenetic conception of disease and the conceptualization of 'placebos' and 'placebo effects'. There is also a growing interest in the metaphysics of medicine, particularly the idea of causation. Philosophers of medicine might not only be interested in how medical knowledge is generated, but also in the nature of such phenomena. Causation is of interest because the purpose of much medical research is to establish causal relationships, e.g. what causes disease, or what causes people to get better. Philosophy of psychology refers to issues at the theoretical foundations of modern psychology. Some of these issues are epistemological concerns about the methodology of psychological investigation. For example, is the best method for studying psychology to focus only on the response of behavior to external stimuli or should psychologists focus on mental perception and thought processes? If the latter, an important question is how the internal experiences of others can be measured. Self-reports of feelings and beliefs may not be reliable because, even in cases in which there is no apparent incentive for subjects to intentionally deceive in their answers, self-deception or selective memory may affect their responses. Then even in the case of accurate self-reports, how can responses be compared across individuals? Even if two individuals respond with the same answer on a Likert scale, they may be experiencing very different things. Other issues in philosophy of psychology are philosophical questions about the nature of mind, brain, and cognition, and are perhaps more commonly thought of as part of cognitive science, or philosophy of mind. For example, are humans rational creatures? Is there any sense in which they have free will, and how does that relate to the experience of making choices? Philosophy of psychology also closely monitors contemporary work conducted in cognitive neuroscience, evolutionary psychology, and artificial intelligence, questioning what they can and cannot explain in psychology. Philosophy of psychology is a relatively young field, because psychology only became a discipline of its own in the late 1800s. In particular, neurophilosophy has just recently become its own field with the works of Paul Churchland and Patricia Churchland. Philosophy of mind, by contrast, has been a well-established discipline since before psychology was a field of study at all. It is concerned with questions about the very nature of mind, the qualities of experience, and particular issues like the debate between dualism and monism. Another related field is philosophy of language. A notable recent development in Philosophy of Psychology is Functional Contextualism or Contextual Behavioural Science (CBS). Functional Contextualism is a modern philosophy of science rooted in philosophical pragmatism and contextualism. It is most actively developed in behavioral science in general, the field of behavior analysis, and contextual behavioral science in particular (see the entry for the Association for Contextual Behavioral Science). Functional contextualism serves as the basis of a theory of language known as relational frame theory and its most prominent application, acceptance and commitment therapy (ACT). It is an extension and contextualistic interpretation of B.F. Skinner's radical behaviorism first delineated by Steven C. Hayes which emphasizes the importance of predicting and influencing psychological events (including thoughts, feelings, and behaviors) with precision, scope, and depth, by focusing on manipulable variables in their context. Philosophy of psychiatry explores philosophical questions relating to psychiatry and mental illness. The philosopher of science and medicine Dominic Murphy identifies three areas of exploration in the philosophy of psychiatry. The first concerns the examination of psychiatry as a science, using the tools of the philosophy of science more broadly. The second entails the examination of the concepts employed in discussion of mental illness, including the experience of mental illness, and the normative questions it raises. The third area concerns the links and discontinuities between the philosophy of mind and psychopathology. 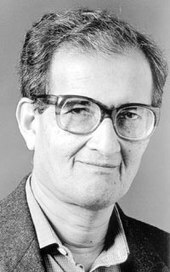 Amartya Sen was awarded the Nobel Prize in Economics for "combining tools from economics and philosophy." Philosophy of economics is the branch of philosophy which studies philosophical issues relating to economics. It can also be defined as the branch of economics which studies its own foundations and morality. It can be categorized into three central topics. The first concerns the definition and scope of economics and by what methods it should be studied and whether these methods rise to the level of epistemic reliability associated with the other special sciences. For example, is it possible to research economics in such a way that it is value-free, establishing facts that are independent of the normative views of the researcher? The second topic is the meaning and implications of rationality. For example, can buying lottery tickets (increasing the riskiness of your income) at the same time as buying insurance (decreasing the riskiness of your income) be rational? The third topic is the normative evaluation of economic policies and outcomes. What criteria should be used to determine whether a given public policy is beneficial for society? The philosophy of social science is the study of the logic and method of the social sciences, such as sociology, anthropology, and political science. Philosophers of social science are concerned with the differences and similarities between the social and the natural sciences, causal relationships between social phenomena, the possible existence of social laws, and the ontological significance of structure and agency. The French philosopher, Auguste Comte (1798–1857), established the epistemological perspective of positivism in The Course in Positivist Philosophy, a series of texts published between 1830 and 1842. The first three volumes of the Course dealt chiefly with the physical sciences already in existence (mathematics, astronomy, physics, chemistry, biology), whereas the latter two emphasised the inevitable coming of social science: "sociologie". For Comte, the physical sciences had necessarily to arrive first, before humanity could adequately channel its efforts into the most challenging and complex "Queen science" of human society itself. Comte offers an evolutionary system proposing that society undergoes three phases in its quest for the truth according to a general 'law of three stages'. These are (1) the theological, (2) the metaphysical, and (3) the positive. Comte's positivism established the initial philosophical foundations for formal sociology and social research. Durkheim, Marx, and Weber are more typically cited as the fathers of contemporary social science. In psychology, a positivistic approach has historically been favoured in behaviourism. Positivism has also been espoused by 'technocrats' who believe in the inevitability of social progress through science and technology. The positivist perspective has been associated with 'scientism'; the view that the methods of the natural sciences may be applied to all areas of investigation, be it philosophical, social scientific, or otherwise. Among most social scientists and historians, orthodox positivism has long since lost popular support. Today, practitioners of both social and physical sciences instead take into account the distorting effect of observer bias and structural limitations. This scepticism has been facilitated by a general weakening of deductivist accounts of science by philosophers such as Thomas Kuhn, and new philosophical movements such as critical realism and neopragmatism. The philosopher-sociologist Jürgen Habermas has critiqued pure instrumental rationality as meaning that scientific-thinking becomes something akin to ideology itself. ^ Encyclopædia Britannica: Thomas S. Kuhn. "Instead, he argued that the paradigm determines the kinds of experiments scientists perform, the types of questions they ask, and the problems they consider important." ^ Thornton, Stephen (2006). 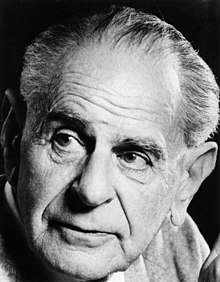 "Karl Popper". Stanford Encyclopedia of Philosophy. Retrieved 2007-12-01. ^ Laudan, Larry (1983). "The Demise of the Demarcation Problem". In Adolf Grünbaum; Robert Sonné Cohen; Larry Laudan. Physics, Philosophy, and Psychoanalysis: Essays in Honor of Adolf Grünbaum. Springer. ISBN 978-90-277-1533-3. ^ Gordin, Michael D. (2012). The Pseudoscience Wars: Immanuel Velikovsky and the Birth of the Modern Fringe. University of Chicago Press. pp. 12–13. ISBN 978-0-226-30442-7. ^ Uebel, Thomas (2006). "Vienna Circle". Stanford Encyclopedia of Philosophy. Retrieved 2007-12-01. ^ Popper, Karl (2004). The logic of scientific discovery (reprint ed.). London & New York: Routledge Classics. ISBN 978-0-415-27844-7 First published 1959 by Hutchinson & Co.
^ "Pseudoscientific – pretending to be scientific, falsely represented as being scientific", from the Oxford American Dictionary, published by the Oxford English Dictionary; Hansson, Sven Ove (1996). "Defining Pseudoscience", Philosophia Naturalis, 33: 169–176, as cited in "Science and Pseudo-science" (2008) in Stanford Encyclopedia of Philosophy. The Stanford article states: "Many writers on pseudoscience have emphasized that pseudoscience is non-science posing as science. The foremost modern classic on the subject (Gardner 1957) bears the title Fads and Fallacies in the Name of Science. According to Brian Baigrie (1988, 438), "[w]hat is objectionable about these beliefs is that they masquerade as genuinely scientific ones." These and many other authors assume that to be pseudoscientific, an activity or a teaching has to satisfy the following two criteria (Hansson 1996): (1) it is not scientific, and (2) its major proponents try to create the impression that it is scientific". For example, Hewitt et al. Conceptual Physical Science Addison Wesley; 3 edition (2003) ISBN 0-321-05173-4, Bennett et al. The Cosmic Perspective 3e Addison Wesley; 3 edition (2003) ISBN 0-8053-8738-2; See also, e.g., Gauch HG Jr. Scientific Method in Practice (2003). A 2006 National Science Foundation report on Science and engineering indicators quoted Michael Shermer's (1997) definition of pseudoscience: '"claims presented so that they appear [to be] scientific even though they lack supporting evidence and plausibility"(p. 33). In contrast, science is "a set of methods designed to describe and interpret observed and inferred phenomena, past or present, and aimed at building a testable body of knowledge open to rejection or confirmation"(p. 17)'. Shermer M. (1997). Why People Believe Weird Things: Pseudoscience, Superstition, and Other Confusions of Our Time. New York: W.H. Freeman and Company. ISBN 978-0-7167-3090-3. as cited by National Science Foundation; Division of Science Resources Statistics (2006). "Science and Technology: Public Attitudes and Understanding". Science and engineering indicators 2006. ^ Cargo Cult Science by Feynman, Richard. Retrieved 2015-10-25. ^ Hempel, Carl G.; Paul Oppenheim (1948). "Studies in the Logic of Explanation". Philosophy of Science. 15 (2): 135–175. CiteSeerX 10.1.1.294.3693. doi:10.1086/286983. ^ Salmon, Wesley (1971). Statistical Explanation and Statistical Relevance. Pittsburgh: University of Pittsburgh Press. ^ a b Woodward, James (2003). "Scientific Explanation". Stanford Encyclopedia of Philosophy. Retrieved 2007-12-07. ^ a b Vickers, John (2013). "The Problem of Induction". Stanford Encyclopedia of Philosophy. Retrieved 2014-02-25. ^ Baker, Alan (2013). "Simplicity". Stanford Encyclopedia of Philosophy. Retrieved 2014-02-25. ^ a b Bogen, Jim (2013). "Theory and Observation in Science". Stanford Encyclopedia of Philosophy. Retrieved 2014-02-25. ^ Levin, Michael (1984). "What Kind of Explanation is Truth?". In Jarrett Leplin. Scientific Realism. Berkeley: University of California Press. pp. 124–1139. ISBN 978-0-520-05155-3. ^ a b Boyd, Richard (2002). "Scientific Realism". Stanford Encyclopedia of Philosophy. Retrieved 2007-12-01. Smart, J.J.C. (1968). Between Science and Philosophy. New York: Random House. Putnam, Hilary (1975). Mathematics, Matter and Method (Philosophical Papers, Vol. I). London: Cambridge University Press. Putnam, Hilary (1978). Meaning and the Moral Sciences. London: Routledge and Kegan Paul. Boyd, Richard (1984). "The Current Status of Scientific Realism". In Jarrett Leplin. Scientific Realism. Berkeley: University of California Press. pp. 41–82. ISBN 978-0-520-05155-3. ^ Stanford, P. Kyle (2006). Exceeding Our Grasp: Science, History, and the Problem of Unconceived Alternatives. Oxford University Press. ISBN 978-0-19-517408-3. ^ Laudan, Larry (1981). "A Confutation of Convergent Realism". Philosophy of Science. 48: 218–249. CiteSeerX 10.1.1.594.2523. doi:10.1086/288975. ^ a b van Fraassen, Bas (1980). The Scientific Image. Oxford: The Clarendon Press. ISBN 978-0-19-824424-0. ^ Winsberg, Eric (September 2006). "Models of Success Versus the Success of Models: Reliability without Truth". 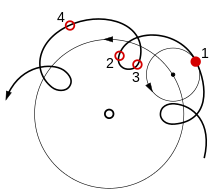 Synthese. 152: 1–19. doi:10.1007/s11229-004-5404-6. ^ Stanford, P. Kyle (June 2000). "An Antirealist Explanation of the Success of Science". Philosophy of Science. 67 (2): 266–284. doi:10.1086/392775. ^ Longino, Helen (2013). "The Social Dimensions of Scientific Knowledge". Stanford Encyclopedia of Philosophy. Retrieved 2014-03-06. ^ Douglas Allchin, "Values in Science and in Science Education," in International Handbook of Science Education, B.J. Fraser and K.G. Tobin (eds. ), 2:1083–1092, Kluwer Academic Publishers (1988). ^ Lindberg, David C. (1980). Science in the Middle Ages. University of Chicago Press. pp. 350–351. ISBN 978-0-226-48233-0. ^ Clegg, Brian. "The First Scientist: A Life of Roger Bacon". Carroll and Graf Publishers, NY, 2003, p. 2. ^ Bacon, Francis Novum Organum (The New Organon), 1620. Bacon's work described many of the accepted principles, underscoring the importance of empirical results, data gathering and experiment. Encyclopædia Britannica (1911), "Bacon, Francis" states: [In Novum Organum, we ] "proceed to apply what is perhaps the most valuable part of the Baconian method, the process of exclusion or rejection. This elimination of the non-essential, ..., is the most important of Bacon's contributions to the logic of induction, and that in which, as he repeatedly says, his method differs from all previous philosophies." ^ a b McMullin, Ernan. "The Impact of Newton's Principia on the Philosophy of Science". www.paricenter.com. Pari Center for New Learning. Retrieved 29 October 2015. ^ "John Stuart Mill (Stanford Encyclopedia of Philosophy)". plato.stanford.edu. Retrieved 2009-07-31. ^ Michael Friedman, Reconsidering Logical Positivism (New York: Cambridge University Press, 1999), p. xiv. ^ See "Vienna Circle" in Stanford Encyclopedia of Philosophy. ^ Smith, L.D. (1986). Behaviorism and Logical Positivism: A Reassessment of the Alliance. Stanford University Press. p. 314. ISBN 978-0-8047-1301-6. LCCN 85030366. The secondary and historical literature on logical positivism affords substantial grounds for concluding that logical positivism failed to solve many of the central problems it generated for itself. Prominent among the unsolved problems was the failure to find an acceptable statement of the verifiability (later confirmability) criterion of meaningfulness. Until a competing tradition emerged (about the late 1950's), the problems of logical positivism continued to be attacked from within that tradition. But as the new tradition in the philosophy of science began to demonstrate its effectiveness—by dissolving and rephrasing old problems as well as by generating new ones—philosophers began to shift allegiances to the new tradition, even though that tradition has yet to receive a canonical formulation. ^ Bunge, M.A. (1996). Finding Philosophy in Social Science. Yale University Press. p. 317. ISBN 978-0-300-06606-7. LCCN lc96004399. To conclude, logical positivism was progressive compared with the classical positivism of Ptolemy, Hume, d'Alembert, Compte, John Stuart Mill, and Ernst Mach. It was even more so by comparison with its contemporary rivals—neo-Thomisism, neo-Kantianism, intuitionism, dialectical materialism, phenomenology, and existentialism. However, neo-positivism failed dismally to give a faithful account of science, whether natural or social. It failed because it remained anchored to sense-data and to a phenomenalist metaphysics, overrated the power of induction and underrated that of hypothesis, and denounced realism and materialism as metaphysical nonsense. Although it has never been practiced consistently in the advanced natural sciences and has been criticized by many philosophers, notably Popper (1959 , 1963), logical positivism remains the tacit philosophy of many scientists. Regrettably, the anti-positivism fashionable in the metatheory of social science is often nothing but an excuse for sloppiness and wild speculation. ^ "Popper, Falsifiability, and the Failure of Positivism". 7 August 2000. Archived from the original on January 7, 2014. Retrieved 7 January 2014. The upshot is that the positivists seem caught between insisting on the V.C. [Verifiability Criterion]—but for no defensible reason—or admitting that the V.C. requires a background language, etc., which opens the door to relativism, etc. In light of this dilemma, many folk—especially following Popper's "last-ditch" effort to "save" empiricism/positivism/realism with the falsifiability criterion—have agreed that positivism is a dead-end. ^ Friedman, Reconsidering Logical Positivism (Cambridge U P, 1999), p. xii. ^ Bird, Alexander (2013). Zalta, Edward N., ed. "Thomas Kuhn". Stanford Encyclopedia of Philosophy. Retrieved 2015-10-26. ^ Strahler 1992, p. 3 The naturalistic view is espoused by science as its fundamental assumption." ^ a b c d Heilbron 2003, p. vii. ^ a b c d e f g Chen 2009, pp. 1–2. ^ a b c Durak 2008. ^ Vaccaro, Joan. "Objectiveism". Retrieved 22 December 2017. Objective reality exists beyond or outside our self. Any belief that it arises from a real world outside us is actually an assumption. It seems more beneficial to assume that an objective reality exists than to live with solipsism, and so people are quite happy to make this assumption. In fact we made this assumption unconsciously when we began to learn about the world as infants. The world outside ourselves appears to respond in ways which are consistent with it being real. The assumption of objectivism is essential if we are to attach the contemporary meanings to our sensations and feelings and make more sense of them. ^ a b Sobottka 2005, p. 11. ^ Gauch 2002, p. 154, "Expressed as a single grand statement, science presupposes that the physical world is orderly and comprehensible. The most obvious components of this comprehensive presupposition are that the physical world exists and that our sense perceptions are generally reliable." ^ Gould 1987, p. 120, "You cannot go to a rocky outcrop and observe either the constancy of nature's laws or the working of known processes. It works the other way around." You first assume these propositions and "then you go to the outcrop of rock." ^ Simpson 1963, pp. 24–48, "Uniformity is an unprovable postulate justified, or indeed required, on two grounds. First, nothing in our incomplete but extensive knowledge of history disagrees with it. Second, only with this postulate is a rational interpretation of history possible and we are justified in seeking—as scientists we must seek—such a rational interpretation." ^ "Simple Random Sampling". A simple random sample (SRS) is the most basic probabilistic option used for creating a sample from a population. Each SRS is made of individuals drawn from a larger population, completely at random. As a result, said individuals have an equal chance of being selected throughout the sampling process. The benefit of SRS is that as a result, the investigator is guaranteed to choose a sample which is representative of the population, which ensures statistically valid conclusions. ^ Olsson, Erik (2014). Zalta, Edward N., ed. "Coherentist Theories of Epistemic Justification". Stanford Encyclopedia of Philosophy. Retrieved 2015-10-26. ^ Sandra Harding (1976). Can theories be refuted? : essays on the Dunhem–Quine thesis. Springer Science & Business Media. pp. 9–. ISBN 978-90-277-0630-0. ^ Popper, Karl (2005). The Logic of Scientific Discovery (Taylor & Francis e-Library ed.). London and New York: Routledge / Taylor & Francis e-Library. chapters 3–4. ISBN 978-0-203-99462-7. ^ Preston, John (2007-02-15). "Paul Feyerabend". In Zalta, Edward N. Stanford Encyclopedia of Philosophy. ^ Kuhn, T.S. (1996). "[Postscript]". The Structure of Scientific Revolutions, 3rd. ed. [Univ. of Chicago Pr]. p. 176. ISBN 978-0-226-45808-3. A paradigm is what the members of a community of scientists share, and, conversely, a scientific community consists of men who share a paradigm. ^ Quine, Willard Van Orman (1980). "Two Dogmas of Empiricism". From a Logical Point of View. Harvard University Press. ISBN 978-0-674-32351-3. ^ Ashman, Keith M.; Barringer, Philip S., eds. (2001). After the Science Wars. London: Routledge. ISBN 978-0-415-21209-0. Retrieved 29 October 2015. The 'war' is between scientists who believe that science and its methods are objective, and an increasing number of social scientists, historians, philosophers, and others gathered under the umbrella of Science Studies. ^ Hatab, Lawrence J. (2008). "How Does the Ascetic Ideal Function in Nietzsche's Genealogy?". The Journal of Nietzsche Studies. 35 (35/36): 106–123. ^ Gutting, Gary (2004), Continental Philosophy of Science, Blackwell Publishers, Cambridge, MA. ^ Wheeler, Michael (2015). "Martin Heidegger". Stanford Encyclopedia of Philosophy. Retrieved 2015-10-29. ^ Foucault, Michel (2013) . Khalfa, Jean, ed. History of Madness [Folie et Déraison: Histoire de la folie à l'âge classique]. Translated by Murphy, Jonathan; Khalfa, Jean. London: Routledge. ISBN 9781134473809. Retrieved 3 Mar 2019. ^ Cat, Jordi (2013). "The Unity of Science". Stanford Encyclopedia of Philosophy. Retrieved 2014-03-01. ^ Levine, George (2008). Darwin Loves You: Natural Selection and the Re-enchantment of the World. Princeton University Press. p. 104. ISBN 978-0-691-13639-4. Retrieved 28 October 2015. ^ Dennett, Daniel (1995). Darwin's Dangerous Idea: Evolution and the Meanings of Life. Simon and Schuster. p. 21. ISBN 978-1-4391-2629-5. ^ Romeijn, Jan-Willem (2014). Zalta, Edward N., ed. "Philosophy of Statistics". Stanford Encyclopedia of Philosophy. Retrieved 2015-10-29. ^ Horsten, Leon (2015). Zalta, Edward N., ed. "Philosophy of Mathematics". Stanford Encyclopedia of Philosophy. Retrieved 2015-10-29. ^ Ismael, Jenann (2015). Zalta, Edward N., ed. "Quantum Mechanics". Stanford Encyclopedia of Philosophy. Retrieved 2015-10-29. ^ Weisberg, Michael; Needham, Paul; Hendry, Robin (2011). "Philosophy of Chemistry". Stanford Encyclopedia of Philosophy. Retrieved 2014-02-14. ^ "Philosophy, Logic and Scientific Method". ^ Gewertz, Ken (February 8, 2007). "The philosophy of evolution: Godfrey-Smith takes an ingenious evolutionary approach to how the mind works". Harvard University Gazette. .
^ Darwinian Populations and Natural Selection. Oxford University Press. 2010. ^ Hull D. (1969), What philosophy of biology is not, Journal of the History of Biology, 2, pp. 241–268. ^ Recent examples include Okasha S. (2006), Evolution and the Levels of Selection. Oxford: Oxford University Press, and Godfrey-Smith P. (2009), Darwinian Populations and Natural Selection. Oxford: Oxford University Press. ^ Papineau, D (1994). "The Virtues of Randomization". British Journal for the Philosophy of Science. 45 (2): 437–450. doi:10.1093/bjps/45.2.437. ^ Jstor, Worrall, J., 2002. What Evidence in Evidence-Based Medicine?" Philosophy of Science 69(3), pp. S316–330. ^ Worrall, J. (2007). "Why there's no cause to randomize". British Journal for the Philosophy of Science. 58 (3): 451–488. CiteSeerX 10.1.1.120.7314. doi:10.1093/bjps/axm024. ^ Lee, K., 2012. The Philosophical Foundations of Modern Medicine, London/New York, Palgrave/Macmillan. ^ Grünbaum, A (1981). "The Placebo Concept". Behaviour Research and Therapy. 19 (2): 157–167. doi:10.1016/0005-7967(81)90040-1. ^ Gøtzsche, P.C. (1994). "Is there logic in the placebo?". Lancet. 344 (8927): 925–926. doi:10.1016/s0140-6736(94)92273-x. ^ Nunn, R., 2009. It's time to put the placebo out of our misery" British Medical Journal 338, b1568. ^ Turner, A (2012). "Placebos" and the logic of placebo comparison". Biology & Philosophy. 27 (3): 419–432. doi:10.1007/s10539-011-9289-8. hdl:1983/6426ce5a-ab57-419c-bc3c-e57d20608807. ^ Worrall, J (2011). "Causality in medicine: getting back to the Hill top". Preventive Medicine. 53 (4–5): 235–238. doi:10.1016/j.ypmed.2011.08.009. PMID 21888926. ^ Cartwright, N (2009). "What are randomised controlled trials good for?". Philosophical Studies. 147 (1): 59–70. doi:10.1007/s11098-009-9450-2. ^ a b Mason, Kelby; Sripada, Chandra Sekhar; Stich, Stephen (2010). "Philosophy of Psychology" (PDF). In Moral, Dermot. Routledge Companion to Twentieth-Century Philosophy. London: Routledge. ^ Murphy, Dominic (Spring 2015). "Philosophy of Psychiatry". The Stanford Encyclopedia of Philosophy, edited by Edward N. Zalta. Accessed 18 August 2016. ^ "The Prize in Economic Sciences 1998". NobelPrize.org. 1998-10-14. ^ Hausman, Daniel (December 18, 2012). "Philosophy of Economics". Stanford Encyclopedia of Philosophy. Stanford University. Retrieved 20 February 2014. ^ Hollis, Martin (1994). The Philosophy of Social Science: An Introduction. Cambridge. ISBN 978-0-521-44780-5. Boldman, Lee (2007). "Chapter 6, The Privileged Status of Science" (PDF). Chen, Christina S. (2009). Larson, Thomas, ed. "Atheism and the Assumptions of Science and Religion". LYCEUM. X (2): 1–10. Durak, Antoine Berke (6 June 2008). "The nature of reality and knowledge". Gauch, Hugh G. (2002). Scientific Method in Practice. Cambridge University Press. Gould, Stephen J (1987). Time's Arrow, Time's Cycle: Myth and Metaphor in the Discovery of Geological Time. Cambridge: Harvard University Press. p. 120. ISBN 978-0-674-89199-9. Priddy, Robert (1998). "Chapter Five, Scientific Objectivity in Question". Science Limited. Simpson, G.G. (1963). "Historical science". In Albritton, Jr., C.C. Fabric of geology. Stanford, California: Freeman, Cooper, and Company. pp. 24–48. Sobottka, Stanley (2005). "Consciousness" (PDF). p. 11. Whitehead, A.N. (1997) . Science and the Modern World. Lowell Lectures. Free Press. p. 135. ISBN 978-0-684-83639-3. LCCN 67002244. Bovens, L. and Hartmann, S. (2003), Bayesian Epistemology, Oxford University Press, Oxford. Gutting, Gary (2004), Continental Philosophy of Science, Blackwell Publishers, Cambridge, MA. Kuhn, T.S. (1970). The Structure of Scientific Revolutions, 2nd. ed. Univ. of Chicago Press. ISBN 978-0-226-45804-5. Losee, J. (1998), A Historical Introduction to the Philosophy of Science, Oxford University Press, Oxford. Papineau, David (2005) Science, problems of the philosophy of. Oxford Companion to Philosophy. Oxford. van Fraassen, Bas (1980). The Scientific Image. Oxford: The Clarendon Press. ISBN 978-0-19-824424-0. "Philosophy of science". Internet Encyclopedia of Philosophy.